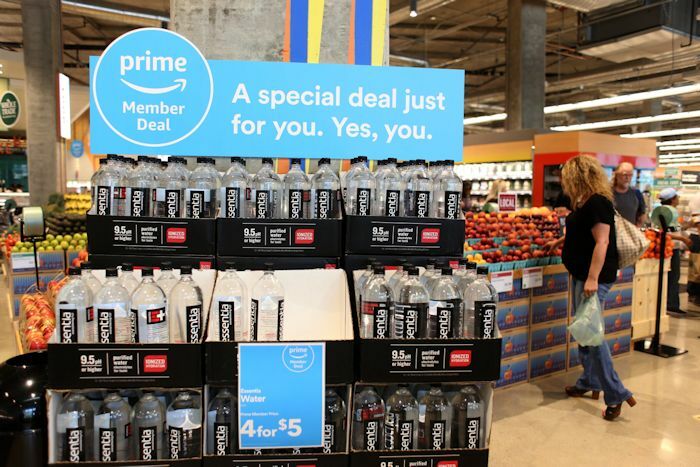 Earlier this year, Amazon started offering Whole Foods discounts to Prime members and since then, it has been expanding the program. Now, there is news that all Whole Foods and Whole Foods 365 stores will offer discounts for Prime members starting on Wednesday. Amazon Prime subscribers will get an extra 10 percent off of sale items marked with a special yellow tag and larger discounts on certain products marked with a blue “Prime Member Deal” label. Since starting the program, Prime members have saved millions of dollars according to the company. “Customer feedback has been overwhelmingly positive — in fact, Prime members have adopted this benefit at one of the fastest rates we’ve seen,” Prime VP Cem Sibay said. Discounts also apply to Prime members who order groceries from Whole Foods through Prime Now. Right now, the two-hour delivery service is only available in Atlanta, Austin, Baltimore, Boston, Cincinnati, Dallas, Denver, Los Angeles, Philadelphia, Richmond, Sacramento, San Diego, San Francisco and Virginia Beach, but Amazon plans to expand to more cities this year. To get these savings at Whole Foods, you’ll need to download the Whole Foods app, sign in with your Amazon account and then scan the app’s Prime Code when you check out. You can also use your phone number at checkout. Prime members love this news.